Every fall, researchers from the Wisconsin Public Interest Research Group Foundation head out to check toys on store shelves for a wide variety of potential health hazards. They test a sample of those toys for lead paint, toxic chemicals that can cause developmental issues, noise levels, and potential choking hazards. 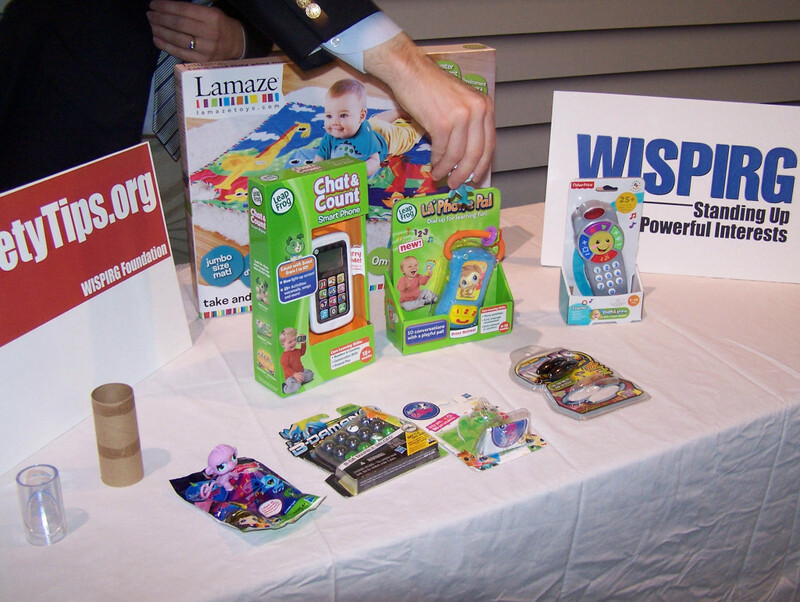 This year, WISPIRG director Bruce Speight says they continued to find toys that contain unsafe levels of lead and a plastic-softening chemical called phthalates, small parts that could easily fit in a young child’s mouth, and toys exceeding safe decibel levels that could damage a child’s hearing. While the number of those discoveries have dropped since tougher product safety regulations were enacted in 2008, he says holiday shoppers still need to be aware that those potential problems are out there. Speight says consumers should “always examine toys carefully for potential hazards before you make a purchase, and always read and heed labels, warning, and age recommendations” that are printed on a product. While some toys are marketed for older children, he says gift givers should keep in mind that if younger children are around, there’s always a chance a product could end up as a chew toy. Choking hazards remained one of the top issues identified in this year’s report. Speight says several products just passed the test used by federal regulators to identify small parts, but many of them are still small enough that a child could fit them in their mouth. Children choking on small parts remains one of the top causes for toy-related injuries in the U.S. Speight suggests using an empty toilet paper roll to test parts for choking hazards. If the toy or removable parts can fit, then he says it should be kept away from young children.